One of the best things about the wintertime is that it means the holidays are just around the corner. The holidays are a time of friendship, joy and cheer. 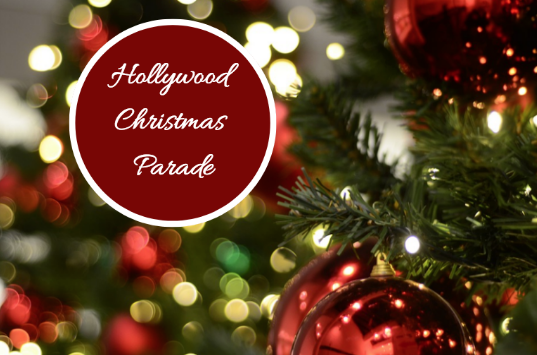 This year, gather together with the community and celebrate the holidays with the annual Hollywood Christmas Parade. This is the largest parade celebrating christmas in all of Los Angeles. Be sure to mark your calendars for November 26th 2017 because this is an event you won’t want to miss! The annual Hollywood Christmas Parade has actually been around since 1928. This staple holiday event rings in the holiday season and is a perfect way to get your in the mood for Christmas time along with other events like the Los Angeles Christmas Parade. During the parade there will be a number of marching bands that will perform holiday themed music, a variety of floats and of course giant balloon character! At this event, there will also be a number of celebrities in attendance. In the past, stars that have attended include the cast from “Jane the Virgin”, “Blackish” and “Fresh off the Boat” as well as the cast of soap operas such as “Days of Our Lives”, “The Young and the Restless” and “The Bold & The Beautiful”. In addition, there is also always a concert that is held before the parade. At last year’s event, performers included Olivia Newton John, The Beach Boys, Cyndi Lauper and more. Attendance to the annual Hollywood Christmas Parade is free. However, if you want to attend the pre-concert, tickets for this show must be purchased in advance. The route of the parade travels right through the center of Hollywood. The parade begins on Hollywood Blvd at Orange. From there, it makes a U-shape through the streets as it travels east until Vine, south on Vine to Sunset Blvd and then travels West on Sunset until it once again reaches Orange. For more information, visit the official website today.